The hugely popular weekday The Armstrong & Getty Show is wildly entertaining, informative and laugh-out-loud funny, with a mixture of political commentary, observations on local, national, and international news and reflections on social issues. 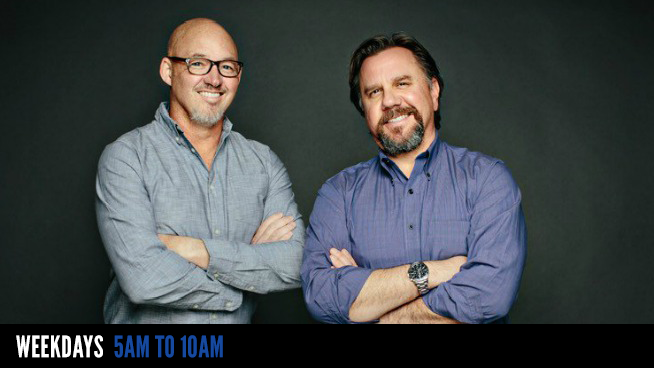 Jack Armstrong and Joe Getty’s comedic delivery, great guests, and super-charged on-air personas have made The Armstrong & Getty Show a morning addiction for Bay Area talk radio listeners. Connect with Jack & Joe on Facebook and Twitter for live updates!